My name is Linda, I was born in 1983 in Amsterdam, the Netherlands. 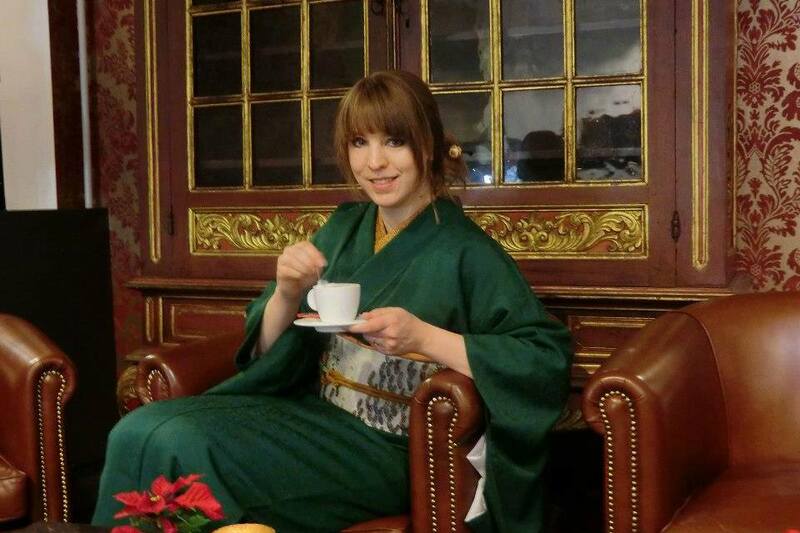 For years I’ve been fascinated by Japan, its culture and the kimono. It makes me sad to know that the kimono is slowly dying. A few hundred years ago, thousands of people worked as kimono makers. But today? There are only a few families left in Japan who still do this great work. I’ve bought my first kimono in 2004 on a anime convention. I never thought of wearing it properly, but in 2008 I started to get interested in actually wearing them. I have been teaching myself more and more about kimono and kitsuke from everything that I can find in books or on the internet. My collection began when I was about to organize a bachelorette party for my best friend who was getting married in 2009. She loves Japan, so I wanted to do something special for her. I started to collect more and more kimono. And in the meanwhile I was still learning more about the way to properly wear them. The idea for the bachelorette party was to dress up all the ladies and go to a Japanese garden here in Holland. The whole bachelorette party turned out great. At the end of the event I gave my best friend a complete kimono set for her to keep as a reminder of the beautiful day. And the funny thing is, that ever since the bachelor party she has also been collecting kimono. In my everyday life I try to wear kimono as much as possible, around ones a month. My favorite are kimono are from the Taisho periode, but wearing Taisho kimono can be a challenge for me, because I’m 176cm tall. Next to wearing kimono i’m also working on alot of projects. One of them is ‘Go Hime 姫の世界へ’. Go Hime is a “fan magazine” inspired by ‘Kimono Hime’. A magazine that touched many kimono enthusiasts around the world. We found out that the kimono magazine ‘Kimono Hime’ was not being published that frequent anymore, we were even afraid that they stopped making it. But to our surprise we saw that they will publish a new issue next month. So in honour of this great magazine we wanted to create a “fan magazine” of fabulous kimono wearers wearing Hime and vintage/Taisho-style outfits. We are still working very hard on finishing this project. Beside that I’m also active as one of the administrators of the ‘International Kimono Network’ facebookpage and one of the founders of ‘Kimono de Jack Holland’.